science education – Real Science at SOEST! HAS MOVED! Ever wonder what questions community college STEM (Science, Technology, Engineering and Mathematics) students ask when taken on a tour of a research vessel? “Are all beds the same size?”, posed a five-foot tall student standing next to a 6-foot fellow student, as they inspected the state rooms in the R/V Ka‘imikai-O-Kanaloa. 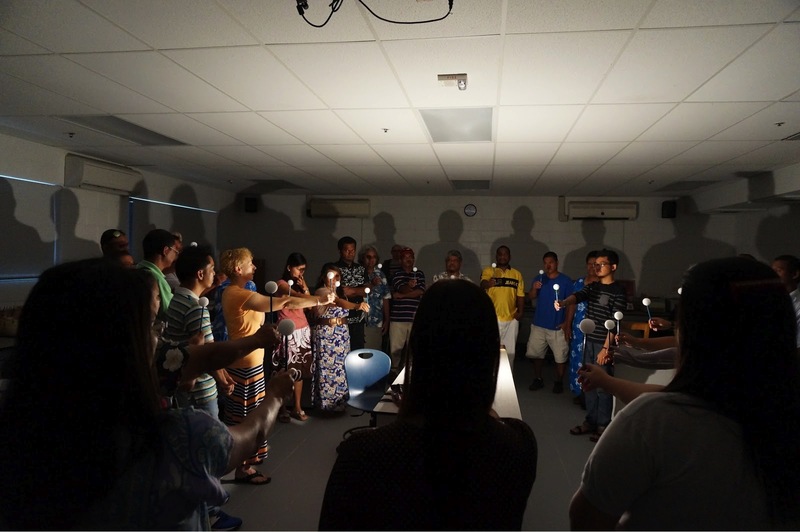 Each summer, a score of Kapi‘olani Community College (KCC) students meet every day for six weeks to immerse themselves in math and other STEM subjects as part of the KCC STEM Summer Bridge program, HāKilo II. 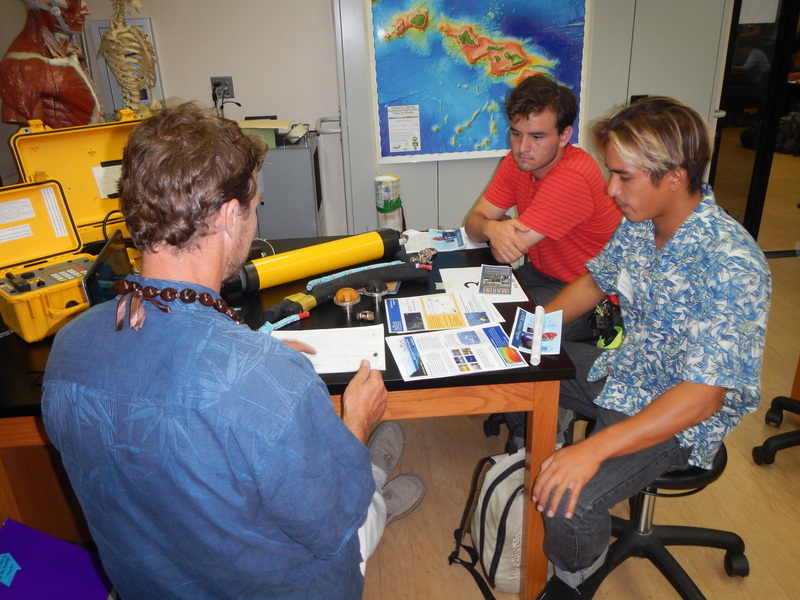 For the past three summers, C-MORE and SOEST from the University of Hawai‘i at Mānoa have been invited to spend one week with these students, introducing them to ocean and earth science careers through hands-on experiences. 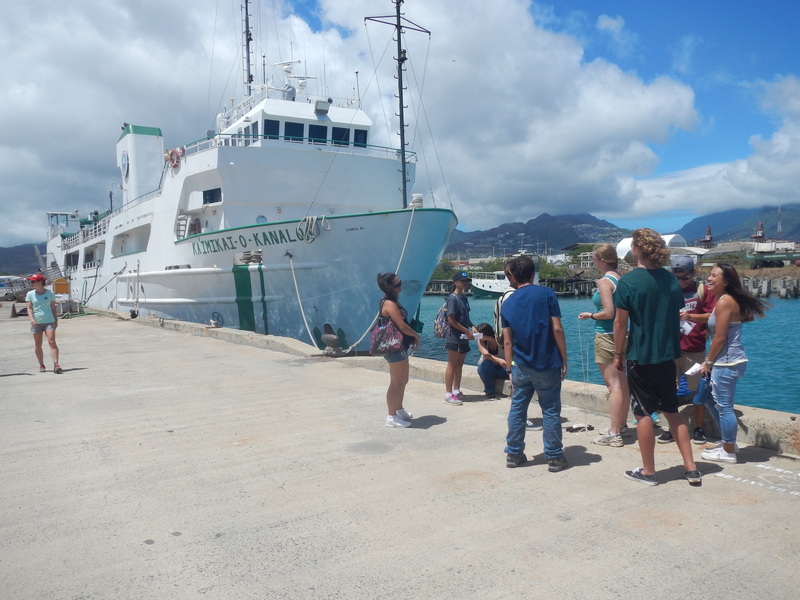 HāKilo II students on a field trip to R/V KOK at Snug Harbor. Photo credit: Heidi Needham. The theme throughout the week is Learning by Doing, so we embark on field trips, engage in career exercises, and interact with graduate students and professionals in STEM fields. Our goal is to help the students discover their passions, and urge them to follow those passions in their professional careers. I first got involved with HaKilo II’s SOEST week as a graduate research assistant with the C-MORE Education office in 2013. I have since helped to organize and lead the event each summer, as the intensive week of career exploration has become one of my favorite summer events. Learning By Doing: Field trips! “Bet you didn’t know you got a mouthful of critters every time you get in the ocean!” said peer-mentor Dan to a student while looking at what they caught in a plankton tow. Learning by Doing is done best outside of a classroom, so we take the students on multiple fieldtrips. 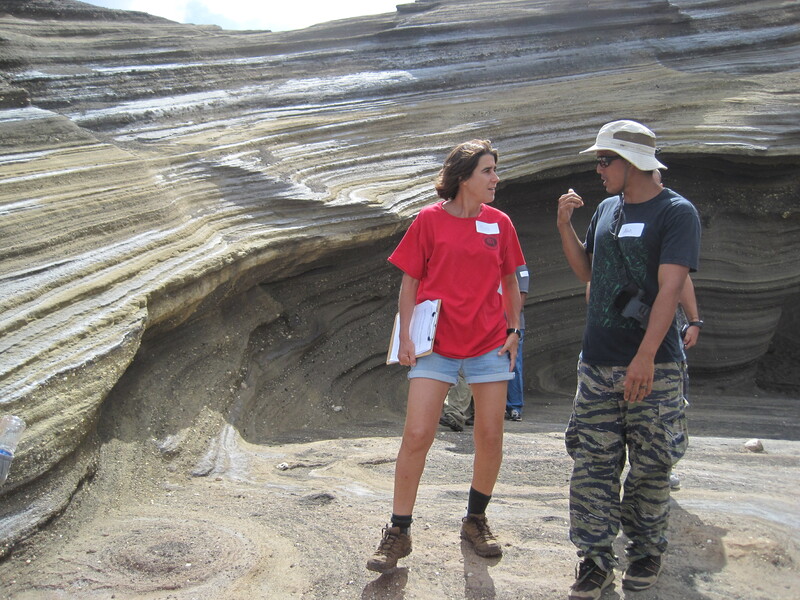 For example, during these field trips, students figure out how the Hawaiian Islands were formed, and why hillsides and surrounding ocean look the way they do. 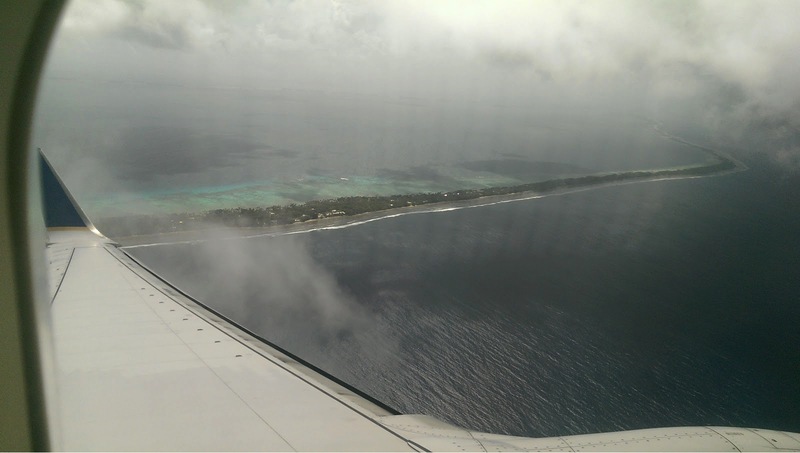 Seeing first hand – and trying to figure out why – there is coral wedged between layers of basalt high above sea level, turns sea level rise from an abstract concept into a tangible one. Learning by doing, seeing and feeling is so much more powerful than being told how the world works. Even though we have visited some of the same sites every year, there are always new things to discover, and students never fail to impress and surprise me with their curiosity and insightfulness. I really enjoy showing students what lives in the clear and seemingly empty waters near the beach. After conducting a plankton tow, while looking at the copepods and other animals in the water, students often wonder if they swallow all of those animals when they go swimming. It’s really nice to see even the most intractable student, who wouldn’t part from her smartphone for more than a minute, get excited about the land and sea around her. “Let’s ask Daren, he knows everything.” – A commonly overheard statement by a group of students when they ran into a problem they couldn’t solve. Spending a summer studying subjects that often take students outside of their comfort zone can be intimidating and scary to many. At the same time, there is nothing more inspiring than connecting with an individual you identify with, who shares your background or interest. This is where the near-peer mentors like Dan and Daren come in. Each year, a handful of senior KCC students, many of whom participated in HāKilo II in previous years, act as peer-mentors and play a pivotal role in inspiring and engaging students. Students can identify with a mentor who went through the program just last year, and who comes from a similar cultural and/or academic background. The students are less reserved with their questions, and the peer-mentors themselves develop into teachers with enthusiasm and confidence. I especially like witnessing the progression from student one year to peer-mentor the following year. Watching them go from shy and unsure students to outgoing, empowered, and confident in their new role as peer-mentor is motivating. And what I always find remarkable is how humble the peer-mentors are: they all have an ‘if I can do it, you can do it’ attitude. Peer-mentors take on the roles of a leader, educator, and mentor, and they not only inspire the students, they inspire me as well. “Man, that’s the closest I’ve been to an astronaut!” said one student after talking to a geology professor working on the Curiosity Mission with NASA. 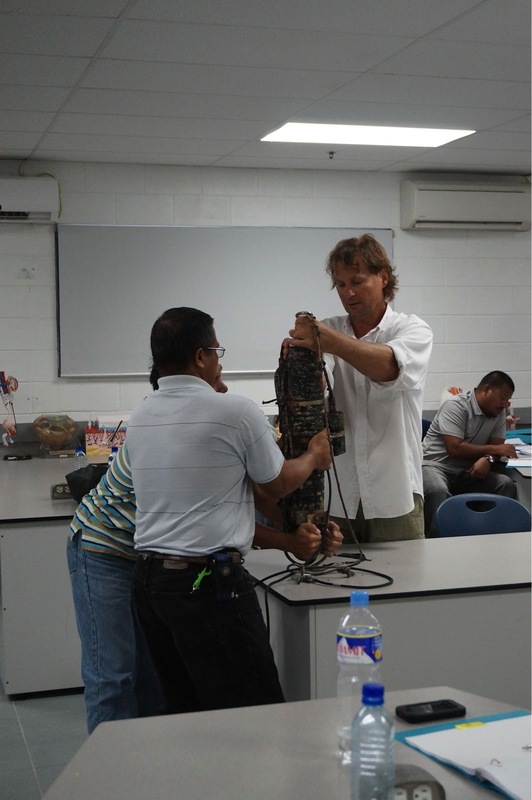 Instead of reciting statistics and course requirements, which often become overwhelming, we introduce the students to career professionals in a variety of fields, from surf forecasters to ocean engineers. Students “talk story” with 20 different professionals, hearing – and often seeing – firsthand what that career entails and what kind of education they need to get there. 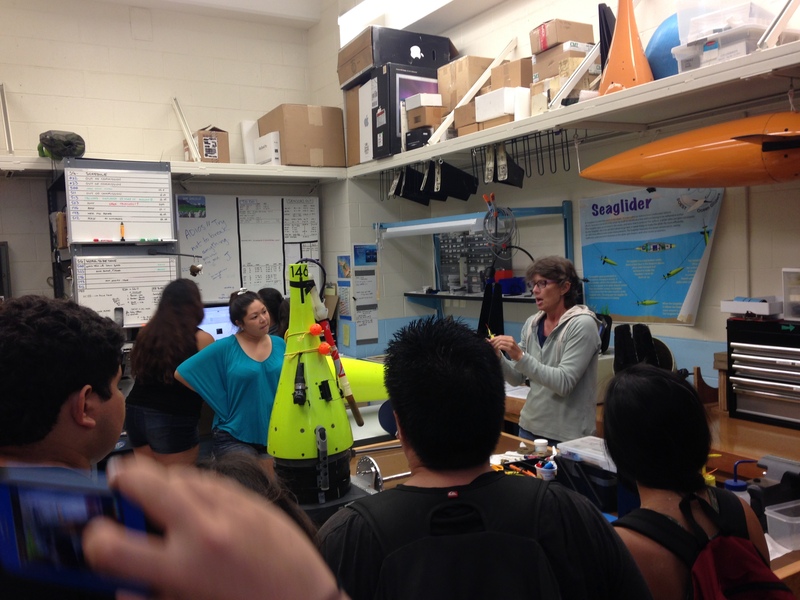 HāKilo II students talking with a career professional, Kimball Millikan, about wave buoys and ocean engineering. Photo credit: Johanna Wren. The best part about this program for me each year is when students discover that their interests don’t have to stay hobbies, but that they can become their careers. A few weeks ago, I ran into one of the students who participated in HāKilo II two years ago and was a peer-mentor last year. When I first met her in 2013 she intended to major in Nursing. Since then, she has changed her focus, transferred to UH Mānoa’s Dept. of Oceanography Global Environmental Sciences program, and participated in marine biology and oceanography summer research experiences both in the U.S. and abroad. She is a true inspiration and role model, and I’m so honored to have had a small part in helping her find her passion. 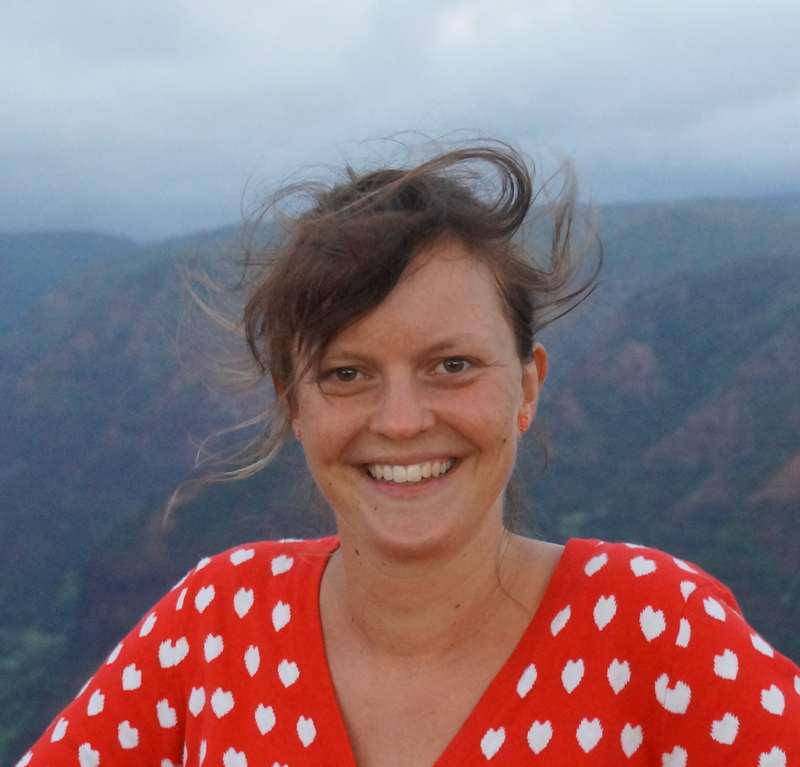 Johanna Wren is a PhD candidate in the Department of Oceanography in the Toonen-Bowen (ToBo) Lab at Hawai‘i Institute of Marine Biology (HIMB) at the University of Hawai‘i at Mānoa. 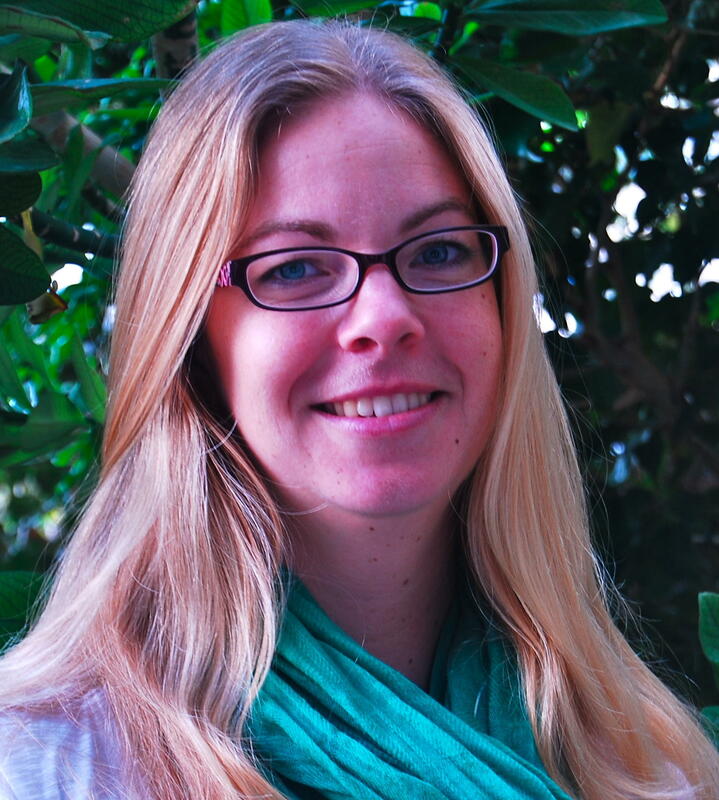 Her research focuses on larval dispersal and population connectivity of reef fish using a biophysical modeling approach. She is interested in identifying biophysical drivers around the Hawaiian Islands that shape the connectivity patterns seen in reef fish communities today.